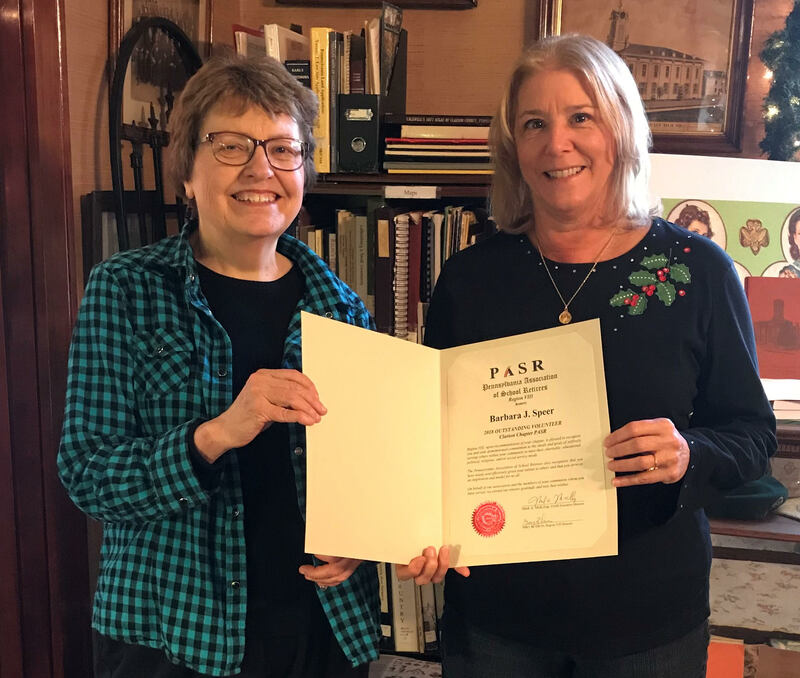 CLARION, Pa. (EYT) – Paula Bowersox, of Clarion, was awarded the John J. Dillon PASR (PA Association of School Retirees) Service Award for 2018 by the Clarion County Chapter. This recognition is for persons who contribute outstanding service to the association and its members. Paula has served as Membership Chair for CCPASR since January 2014. During this time, the state organization has updated technology which she has mastered. 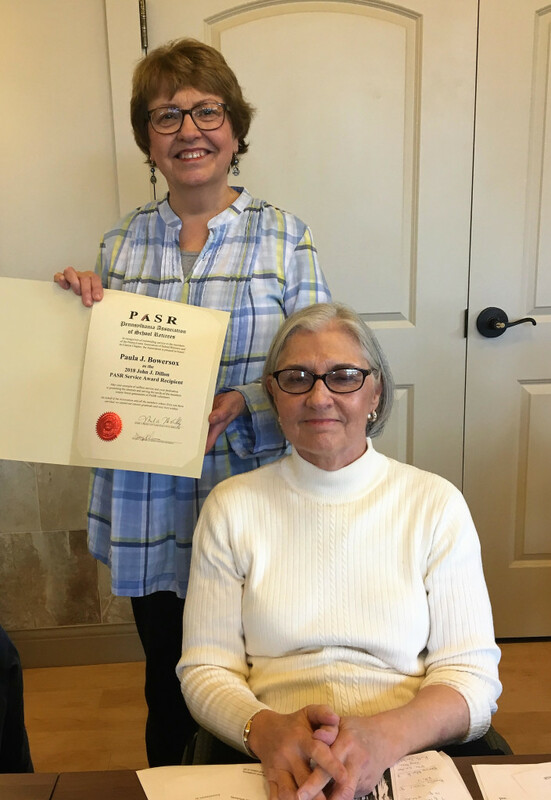 A certificate was presented by Sue Zamzow, CCPASR President, at their fall membership meeting. A listing of each year’s honorees will be framed and displayed at the PASR headquarters building in the John J. Dillon Hall of Fame. Barb Speer, of Clarion, was also awarded the Volunteer of the Year for 2018 by CCPASR. It was presented to Barb at the traditional Clarion County Historical Society visit in December. Barb is a past president of CCPASR, as well as currently serving as RECREO chair and educational support committee. CCPASR encourages retirees to join the chapter for a variety of outings, field trips, presentations, newsletters, and new friendships. Also, the associate membership is for any interested party. 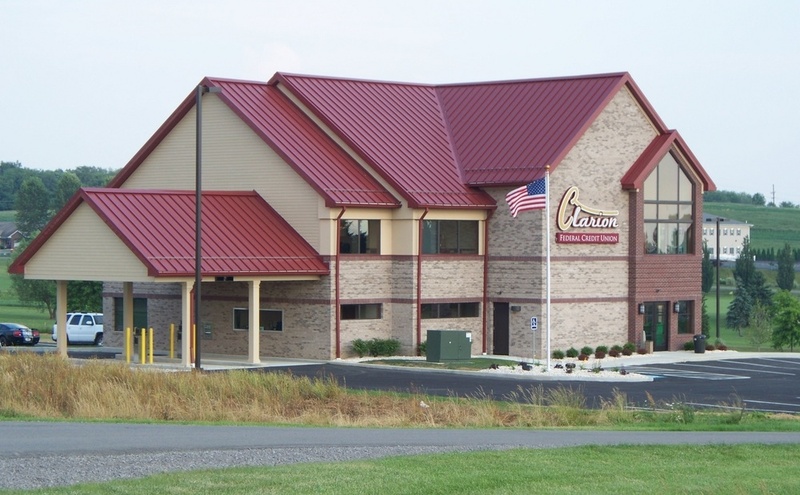 Find more information about CCPASR at www.ccpasr.com.